With the recently released major Gym Update for Pokemon GO, Niantic has released raids for the first time as a PvE feature for larger game groups. How these raids work and what rewards are waiting for you, can be found here in our guide. Raid Battle as a co-op feature for larger game groups are part of every important MMO - which was probably thought by Niantic as the developers of Pokemon GO with the last major update realized the desire of many players and implemented the mass battles against particularly powerful monsters in the game. A Raid Battle is occurred when a powerful Pokemon taking over an Arena. Then a Raid Egg appears above the Gym and the game shows a countdown, after which a Pokemon hatching from the egg and the raid begins. 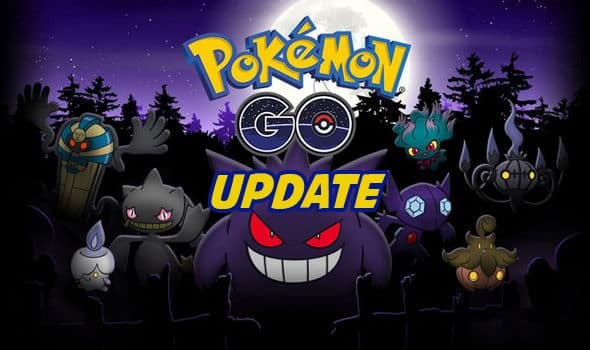 • Raid Battles in Pokemon GO are said to be "regular" according to Niantic - which is exactly what is meant by and at which intervals the raids actually take place, is still unclear. • As soon as a raid takes place near you, Pokemon GO informs. • Instead, you can also use the "Nearby" feature to display Raid Battles in your environment. • To join a raid, you need a Raid Pass. You can either buy it in the Shop or get it for free at a Gym by turning the Photo Disc. You can only have one Raid Pass in the inventory at the same time. Once you have used the free Raid Pass, you can buy a Premium Raid Pass in the Shop. If you want to join a raid, choose the appropriate raid and apply your raid pass. Similar to an Gym Battle, you decide for six Pokemon to support you in the raid. If you want to share the raid with friends, share the group code with them, which is displayed to you in the Pokemon selection screen at the top right. • Raids have a total of five difficulty levels. The higher the difficulty level, the more players you need gather to defeat the Raid Boss. • You must defeat the boss within a certain time limit. If you can not do this, you can try again after the fight - you do not need another Raid Pass for this. • As soon as the battle starts, you have three different action options: Fast Attack, Charged Attack, and Dodge. • To use the fast attack, tap the screen once. This attack charges your Charged Attack meter. • Once your Charged Attack meter is filled, tap and hold the screen to perform a Charged Attack and cause large amounts of damage. • To avoid an attack from the Raid Boss, swipe the screen left or right. • While the raid is active, you can flee from the battle at any time to heal your Pokemon with Potions or Revives. Then you can join the raid again. "Premier Balls" you get as a result of your performance in Raid Battle after defeating the Raid Boss. They disappear from your inventory after the raid is complete. You can only use Premier Balls to catch the Raid Pokemon. You can also use Berries. Once your supply of Premier Balls is exhausted, the Boss fled automatically. Once you have defeated the Raid Boss, you must wait until the raid is fully completed before you can interact with the Gym again. Have you already gained experience with Raid Battle in Pokemon GO? For more Pokemon GO news and tips, go to our theme page.